for $79,500. The lot size is 0.43 Acre(s). 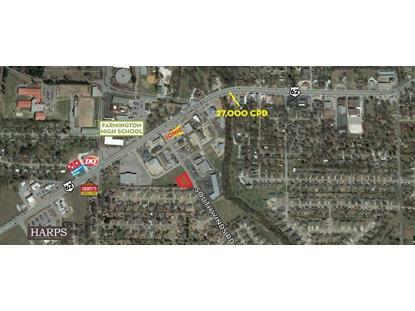 0.43 Acres (Tract B) is zoned C-2 in the heart of the commercial district of Farmington. 27, 000CPD on Hwy 62. All utilities are at the street. Easy access to Hwy 62. Near many residential developments. Close proximity to the U of A and Fayetteville.